The amazing new collection with it's joyous circus-inspired designs took China town by storm, taking its cue from Gwen Stefani's No Doubt era, and aptly named "The Freak like me" collection. 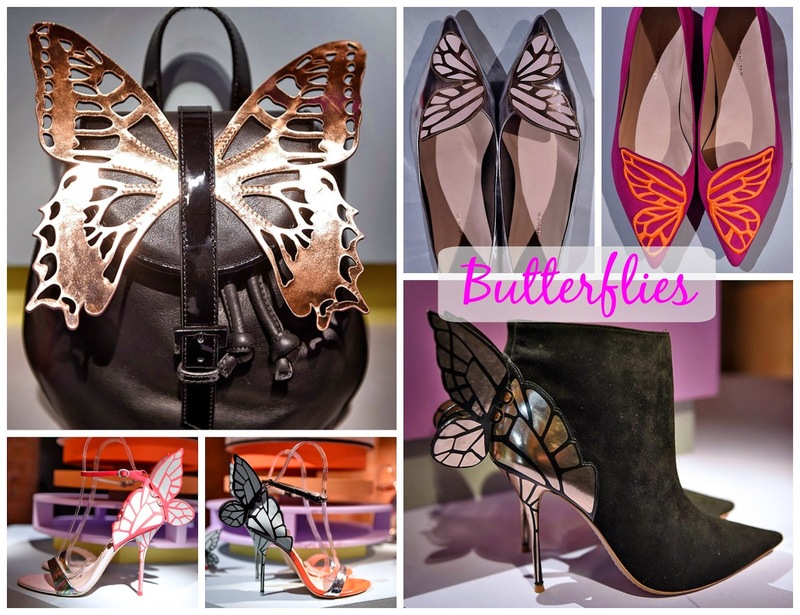 An update to the existing butterfly shoes, with new colours in established favourites alongside new statement pointed flats and a pair of stunning black stiletto ankle boots that scream style. Not only fabulous feet but now you can literally match your bag to your shoes. 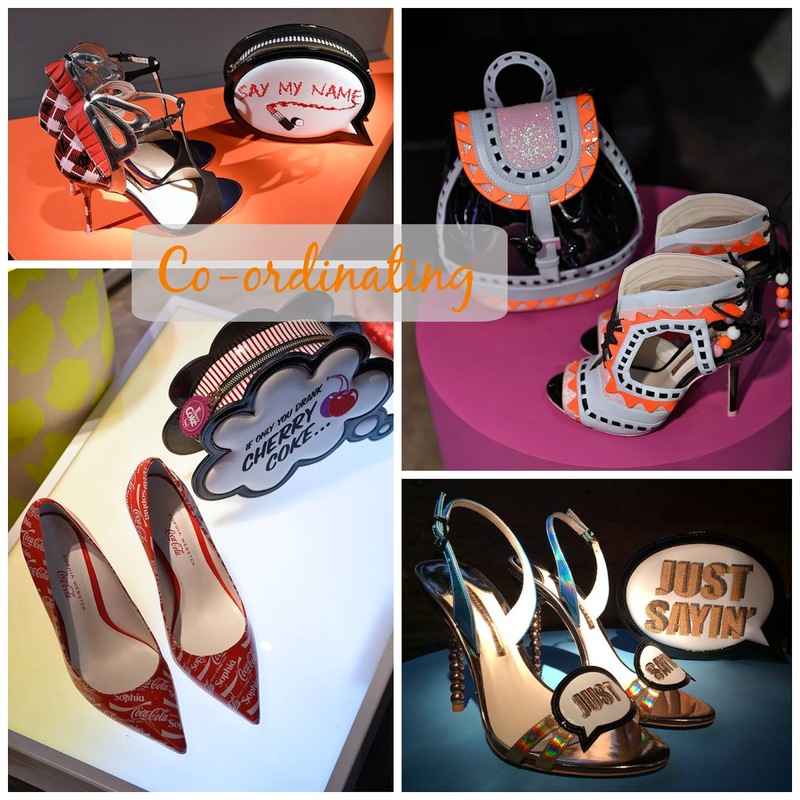 From her signature slogan clutches with quipy new sayings and some great new typography, to cute backpack styles - all in matching colours, to perfectly co-ordinate with your fashionable feet. The cutest new assortment is a nod to Coke Cola with red and white pointed pumps and a cute cherry coke clutch to match, not exactly normal but a great nod to the fast food fashions that have littered the catwalk over the last 12 months. A beautiful range of embellished flats, funky boots and towering heels adorned with feathers, leopard-print, glitter, "warped check" and tartan - where else would you find all these elements in one show? Even the models were wacky bold and defiantly eye catching in their circus themed costumes. The "Miss Thang" slingbacks are stunning and very simplistic yet quirky, in a gorgeous subtle pink - could totally see these sitting on my shoe rack. My favourite part of the collection is the mini range. 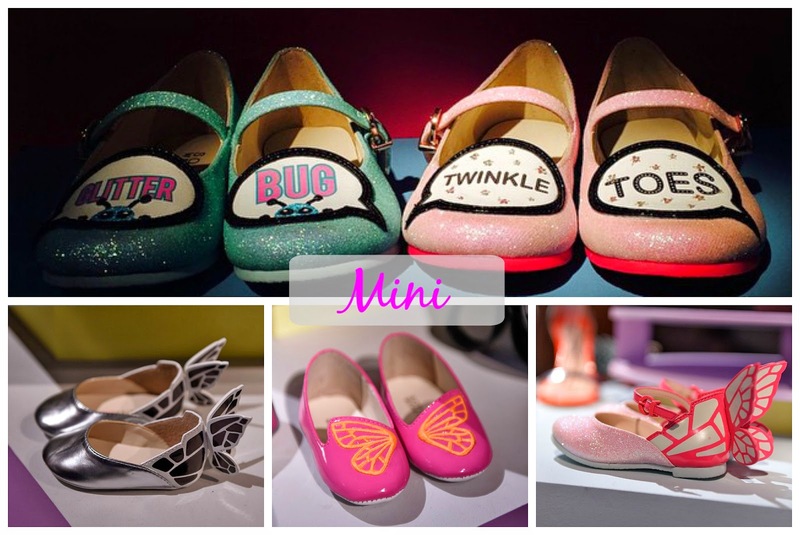 Not many designers offer great mum and mini me pairings, whether you want cute little slogan toes or matching glittery butterflies, these mini styles are just as beautiful as the rest of the assortment. If only they were a little better priced - if anything like the current styles available on the designers website, you are looking at around £250!! think i best win the lottery! 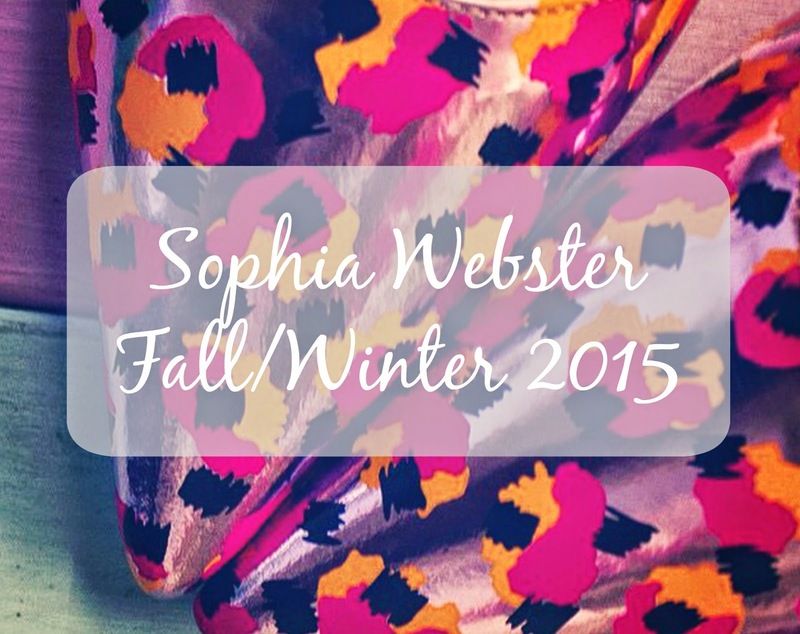 Another amazing offer form this talented designer - thank you Sophia Webster for bringing some much needed quirkiness to my life.